Skullcandy Supreme Sound range majors on performance | What Hi-Fi? 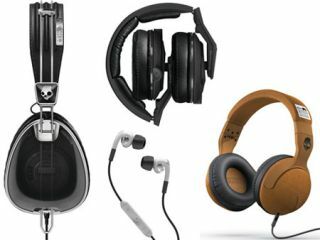 Skullcandy has a new headphone range, and it's not only about cool looks, but high quality sound too. The Supreme Sound range no longer uses pre-built drivers and adds a Skullcandy look – instead these are built from the ground up with a former Bose engineer at the helm. Skullcandy says the aim of the Supreme Sound range is to find a balanced sound that delivers attacking bass, natural vocals, and precision highs. This means whatever type of music you’re listening to it’ll be played in " perfect balance". The range comprises the smart-looking Aviators (left of pic) made with polycarbonite and memory foam for added comfort at £150. The FIX earphones (bottom centre) produce optimal sound while using FIX technology to ensure they stay in your lugholes even when playing sports (£60) and if you’re more of a DJ, the Mix Masters (top centre) offer the most precise audio, a dual channel cue control, ambidextrous audio inputs, and a one-touch mute button, all for £270. Finally there’s the Skullcandy favourite Hesh cans (bottom right) which now look way more premium but are still affordable at £60 or £65 with a mic. Keep your eyes peeled for a What Hi-Fi? Sound and Vision review.